Qualification: Matriculation & Valid LTV License with PSV badge. 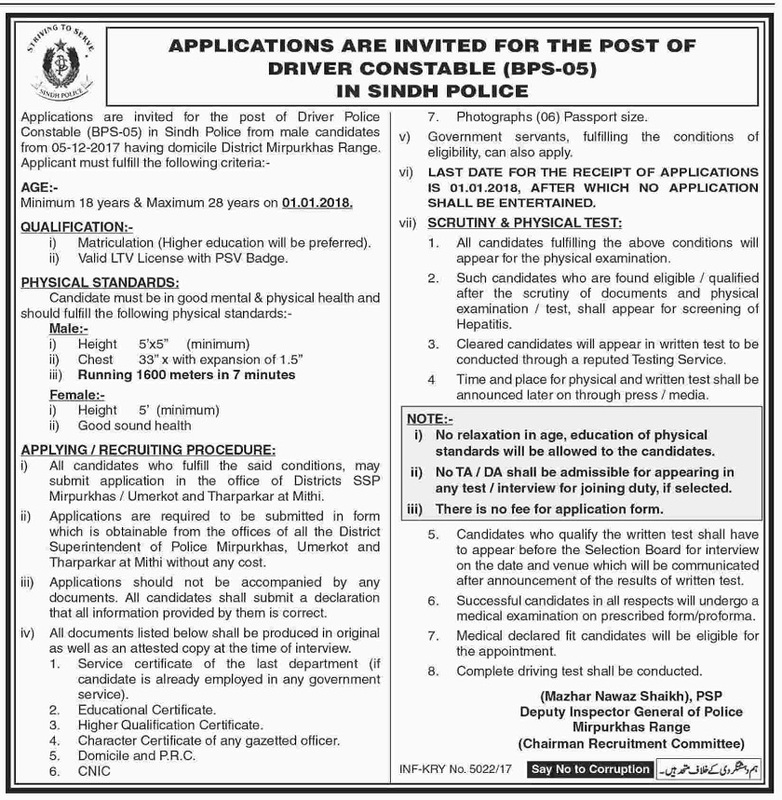 Submit the application in the office of Districts SSP Mirpurkhas/Umerkot & Tharparkar at Mithi along with Educational certificates,Character certificates of any gazetted officer,Domicile,CNIC & 06 passport size photos. Note: Scrutiny & physical test will be conducted.